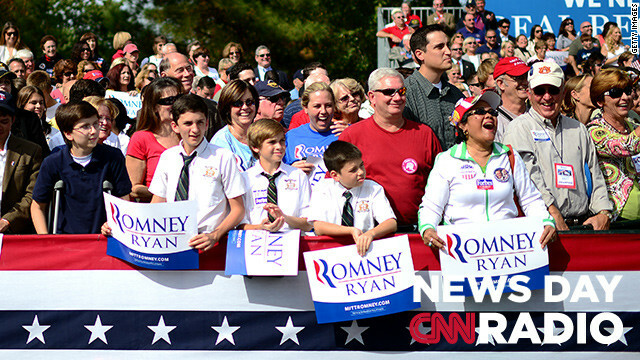 Supporters of Republican presidential candidate Mitt Romney attend a campaign rally in Chesapeake, Virginia, October 17, 2012. "If they haven't decided yet maybe the final debate could change their minds or persuade them to change their minds. Maybe it'll be a campaign event or a commercial they see in the last couple days. It's hard to tell with these remaining voters when it comes to what's going to make their choice." Pattie Mallette and her son, Justin Bieber. (CNN) – At the age of 17, Pattie Mallette threw herself in front a moving truck in a botched suicide attempt. Six months later, Mallette learned she was pregnant with her son, now known to the world as pop star, Justin Bieber. 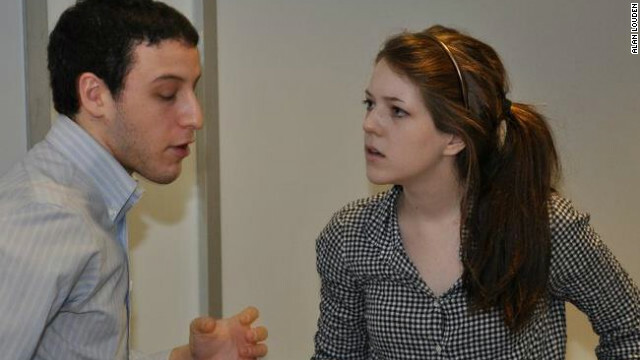 Champion debater Ryan Beiermeister (right) says listening is one of the keys to good debating. (CNN) - With the last presidential debate upon us, we felt it was time for a real education in the art of debating. We decided to go out on a search for the best debater in the land. Well, to name one individual as the best debater in the land would trigger a debate too long for this CNN profile. But we certainly found one of them. And we found one of the best debate coaches in the land too, David Vincent Kimel of Yale University. And when you listen to them on this CNN profile, we promise you will never listen to a debate with your old amateur ears again. You will be a formidable judge if you just listen.